This is my home church, the place where I was nurtured, fed and guided as a child. I am the person I am today because of my parents, my heritage, and my church family. 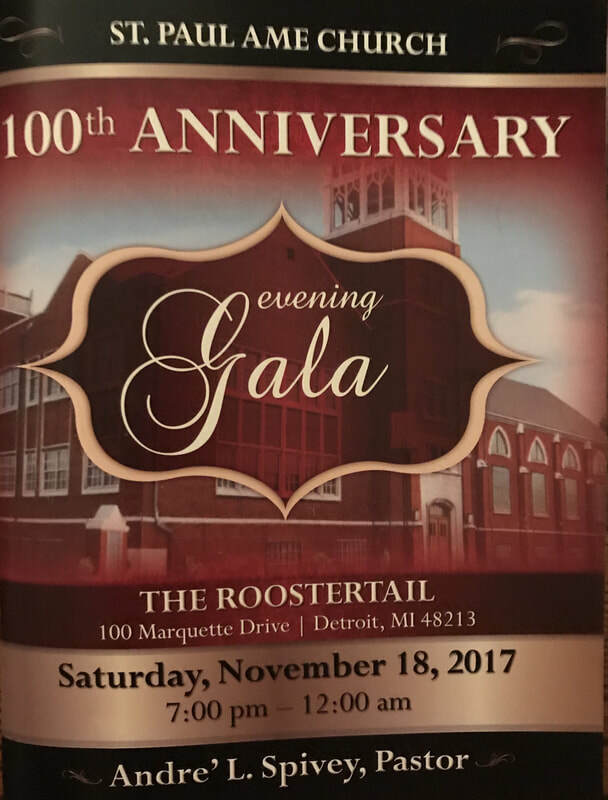 What a memorable evening to attend the 100th Anniversary of my home church. The anniversary gala was held at the Roostertail on the Detroit River, this sight of my high school prom! My grandfather, Rev. James Arminius Charleston, pastored this church for more than 30 years! My brother, Attorney Wilson A. Copeland, was the co-chairs of the Centennial Committee. Rev. Andre' L. Spivey has pastored St. Paul for 13 years. He also serves a member of the Detroit City Council. We thank God for our ancestors, parents and loved ones gone to Glory for the vision they carried forth throughout the years at St. Paul AME Church.